A 6 pack abs diet is your ticket to ripped abs. Since you've probably been going to the gym for a month or two and your midsection still isn't rock hard like you want, you owe it to yourself to try the six pack diet. Proper heating habits, i.e. a good diet, willget you those abs. In these 2 articles I'll go over old boys tales to ignore, what to eat & when to eat it, and the math of how much to eat to drop fat. Or you can get a complete plan right here in my e-book. Let's go! Eating the right foods, and the right amounts of the right foods, is the most important thing for getting ripped abs. Once your body fat has dropped low enough, you'll see them bulging right down there. Everyone already has their six pack. Core exercises or a six pack workout will make it more obvious, but it's already there. Just clear away the fat with an effective 6 pack abs diet - but really it's not a diet. It's a different way of eating, and a healthier one, that you will maintain for as long as you want your six pack. Also, you're not losing weight - you're losing fat! Even if your weight stays the same as you're eating right, if you're putting on muscle and and following the 6 pack abs diet, then you're making progress. Just keep that in mind. So, here's the guidelines for how to eat! You probably dash out of the house or dorm grabbing a power bar or egg-muffin thing since you have to get going. Eat a sandwich for lunch, perhaps with a salad, a few sugary snacks during the day, and a large dinner around six. And, oh yea, a late evening snack of some kind. And this doesn't even account for hanging out with your friends for a few drinks on Saturday night. Which is all garbage for getting a lean physique. You should eat at the very least, 3 meals a day. 4 is getting there, 5 is better, and 6 is the best idea. Yes, 6 meals a day for your 6 pack abs diet. How fast your metabolism runs depends on how often you eat. If you eat infrequently, you tend to eat massive meals and then have a long stretch where you body isn't digesting anything. So, when you eat only a few times a day you have extra calories right when you eat. And these get converted into fat. So, 6 meals a day to keep your metabolism fast and burning all day long. But, what should you eat all day long? Ideally, you should eat foods that are natural and organic for your 6 pack abs diet. The more your food looks like something that was once alive and/or growing & the less it looks like a plastic wrapper, the better. Also, these foods will give you more energy for that six pack workout you're doing. Dropping the fat is what this diet is about, but building up those abs will get them to stand out too - remember that. 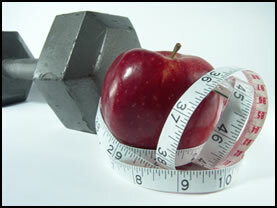 Every meal of the 6 pack abs diet should have a balance of carbohydrates, lean meats, and a little bit of fat. That way, you get a bit of what your body needs with every meal. For meats, lean meats with not a lot of fat. Lean turkey bacon, egg whites, and many kinds of fish (salmon is my favorite) are excellent sources of protein. And for fats, just say no to saturated fats. Most fats that are animal based (beef fat, egg yolks, butter, etc.) are saturated fats (saturated with hydrogen atoms) and are less healthy than vegetable and non-red meat based ones (fats from Tuna and other fish, soybean oil, walnuts, etc.). Whole grains are great, along with sweet potatoes, brown rice, and fresh vegetables for carbohydrates. These foods are close to what you would see if you looked in a garden and decided you wanted some munchies there. Foods that have not been processed contain the most nutrients and are the most filling. They also force your body to expend lots of energy to break them down. Celery, on the other end of the spectrum, contains so few carbs compared to what it takes to digest it that you actually don't get any energy out of it at all. So, you can eat as much raw celery as you desire. But life isn't just about celery. There's room for other dishes, since the other important point is how much you eat. Though if you're serious about getting six pack abs, check out my e-book. Still want some more six pack diet tips? Go to Part 2 of this article to find out how to do the calorie math for a 6 pack abs diet to get ripped abs! • Click HERE to leave '6 Pack Abs Diet - Part 1' & learn more about getting your six pack stomach! • Click HERE to go back to the Home-page.